When I was asked to take over the Mirror litigation, I was trying to get out of phone hacking. I had just steered 55 claims against the News of the World to a successful conclusion. It had been a gruelling few years, which I had gone straight into after two heavy libel claims. I was looking forward to moving on. What I thought I was agreeing to was an application in four (what appeared at to be) isolated claims. Little did I know that I would spend the next three years of my life engaged in a bitter fight to the finish, heading up a cohort of claims as lead solicitor for the claimants. Today’s judgement of Mr Justice Mann has been a good result for claimants, and they have finally been awarded what they deserve. It has also means that I haven’t wasted the past three years of my life. However, much has been written about it already as being an unparalleled, precedent-setting judgement in terms of damages. That is not, in my view, a correct analysis. It is, rather, a thoughtful and considered application of the existing law to unprecedented circumstances. What these claimants went through was truly awful. What, at first blush, may seem a trivial act of listening to voicemail messages actually had very real and detrimental consequences. It caused all sorts of problems, it ruined relationships and careers. It changed the course of people's lives. That is not to belittle the judgement itself: it is an important result for all victims of press intrusion. It contains valuable guidance for all future phone hacking claims and for all future privacy claims more generally. However, it must be understood what the judge was awarding damages for. The judge found that phone hacking by Mirror Group’s newspapers was widespread, institutionalised and longstanding. It went on for many years. The intrusion into the private lives of the claimants ranged from "serious" to "enormous". In addition, understandably, a lot of the claimants involved in this trial were reluctant to come to court to relive difficult periods in their lives. They had to speak about their very real feelings of horror, distaste and distress at the discovery that Mirror Group journalists had been listening, on a regular and frequent basis, to all sorts of aspects of their private lives. It has been a brave and determined group of claimants that finally brought this newspaper group to account and it was not easy. Damages awards have ranged from £72,500 for Lauren Alcorn to £260,250 for Sadie Frost. The apparently high awards in these cases reflect the serious and repeated intrusions into the claimants’ privacy and the lasting impact that it has had on their lives. In fact, sitting through what was a very emotional four weeks, and what the awards comprise – for instance, compensation for years of hacking, activities of private investigators, 30 distressing newspaper articles, and all sorts of consequences for her private life, in the case of Sadie Frost – I start to wonder whether it is enough. Be that as it may, these eight claimants can finally move on from what were difficult periods in their lives. 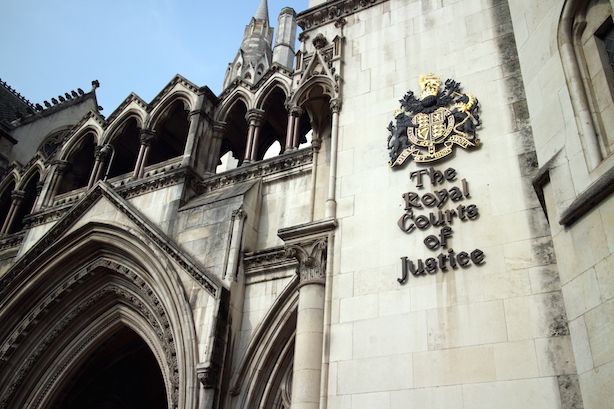 As for the future of this litigation, I am currently co-ordinating a large number of other claims being brought against Mirror Group newspapers, and anticipate many more to come. It looks like I will have to wait a bit longer before having my break from phone hacking.